In Rødovre Karate School we train the style Wado-Ryu, which is one of the four main styles within karate. The club’s black belt is holders of Japanese license, issued by the Japanese main organization. Competitively we train marking karate where practitioners can only do controlled techniques and skin-touch. 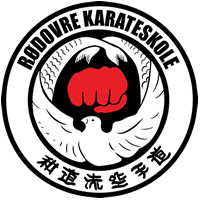 Rødovre Karate School is a member of the Danish Wadokai (DWK), which is the style organization in Denmark. In addition, we are affiliated with the Japanese main organization for the style JKF Wadokai. The club is a member of the Danish Arbejder Idrætsforbund (DAI), the Joint Representation for Sports Associations in Rødovre (FIR), the Danish Karate Federation (DKF) and the Danish Sports Federation (DIF).